The bicycle, since its invention, has had an amazing transformational effect on city life. The rising number of cyclists in our cities may seem new to many, but the parallels to the first rise of the bicycle in the late 1800s and early 1900s are important to highlight. 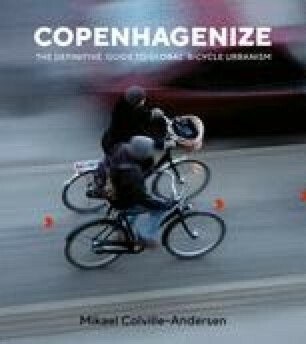 To be honest, reading a book like Bike Boom: The Unexpected Resurgence of Cycling, by Carlton Reid, is absolutely the best way to get into the subject of the rise of the bicycle in history. I want to cover the role of the bicycle in our cities and our societies. While it may seem glaringly obvious to some, there is still a great deal of misunderstanding, which is regrettable now that we’re trying to figure out how to weave the bikes back into the spectacular urban fabric. One sits on it either straight-backed, as though at a festive dinner party, or hunched painfully forward, as though one just failed an exam. All according to the situation, your inclination, or your inborn characteristics.